Great deal of the day on Amazon today! 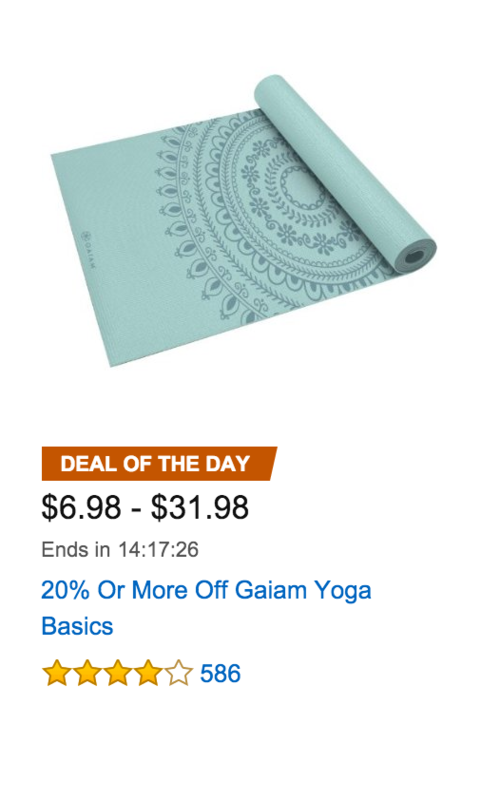 They are offering 20% or MORE off select Gaiam Yoga products! Fantastic prices on good quality yoga mats, blocks and other necessities.